The nearest subway station is Bay Station, on Line 2 Bloor–Danforth. Planta is also walking distance from Bloor and Museum Stations on the Line 1 Yonge-University line. There are multiple parking options near the restaurant, such as the Cumberland St. Parking Garage. Love the idea of a vegetarian menu! Great location! But food was mediocre and costly. Price is no object whatsoever if food is great. Acoustically bad ~ loud. Great service staff. But was there for the food!! I had put on open table that it was my friends birthday so I thought they would have done spending special but they didn’t.The sever also mixed up our meal so we had to wait a very long time for the main and they never apologized. We never even saw the same server twice there were so many different people attending to the table which felt not personal at all. The food was delicious but for the price, the portions sizes are too small and not filling. (and that’s coming from a small woman)This was my fourth time at planta and as usual I spent a lot of money and left hungry. 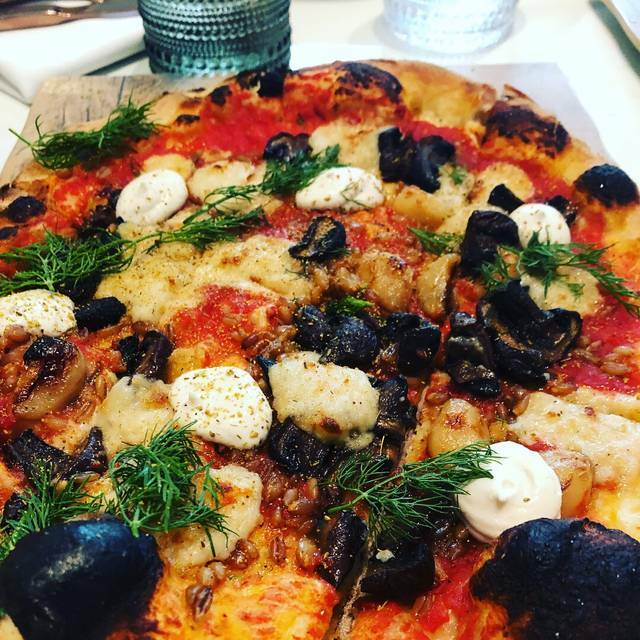 I would recommend Planta to a vegan or vegetarian friend. Otherwise, the dishes tasted too similar for my liking. The service was excellent with very accommodating and helpful staff. It was quite expensive for the meal and I didn’t think it was good value for a regular evening out. Nice to try for something different. Delicious food in a lovely setting. The main courses are very filling! Great place! Highly recommend. Great service and unique food. 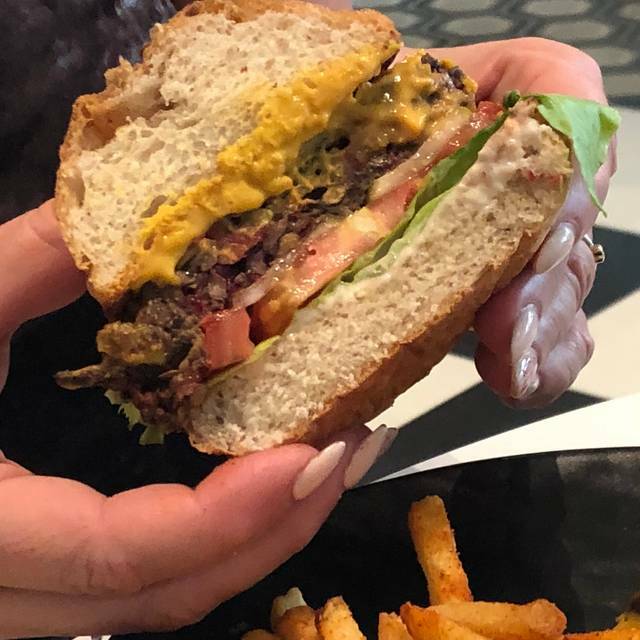 Best Vegan food in Toronto. Love Planta! Exceptionally good vegetarian food in a fun lively environment. Bar and wait staff were outstanding. The reception less so...breathtakingly aloof and rude. Good experience with good service! Disappointed we waited over 45 minutes to be seated after our initial reservation time, with no explanation. No waiting room for drinks, as every other reservation was also running 45 mins to 1 hour behind. Excellent pace and customer service. Their wine flight offering was a nice surprise. Amazing vegan food, my friends and I were so happy to dine here and catch up. Greta food, service and atmosphere! Every dish was carefully prepared and the ingredients were perfectly put together. Every bite was sensational. 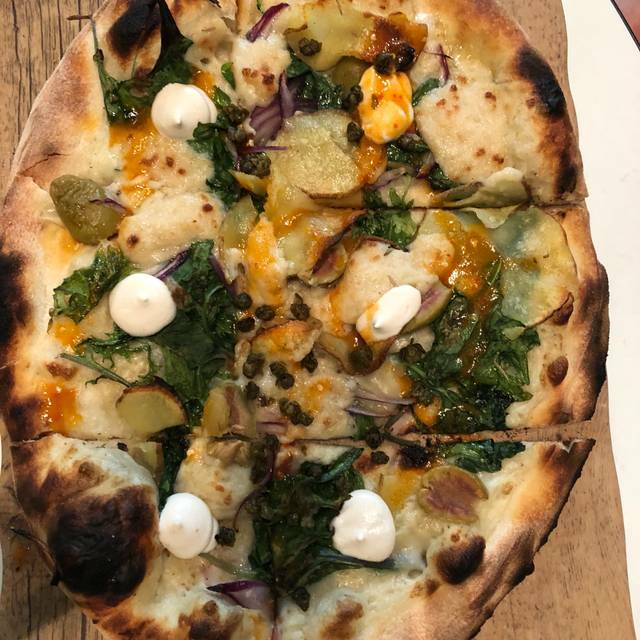 Especially loved the cauliflower tots, coconut ceviche, and Bianca pizza. I'll be back!! Booked lunch with work colleagues. Everyone was very happy with meals, service and place! Great options even if your not vegan ... I didn’t miss the meat! There was gum under our table and it go stuck to my friend's jeans. Not a fun experience trying to scrape someone else's gum off your pants (while trying not to ruin your pants). The hosts were nice and Googled how to remove it / tried to help, which was very nice, but also didn't comp our appetizer or anything even though our dining experience was less than enjoyable. My suggestion is that if you're using cloth napkins, you need to consistently check for gum under tables so that your guests aren't disgusted right when they go to eat. The food was delicious and decent portions. We loved it! It is very loud though :). Our servers were extremely helpful! Overall a great experience. Food was amazing, service was pleasant and the kitchen accommodated an allergy very well. Definitely will recommend. 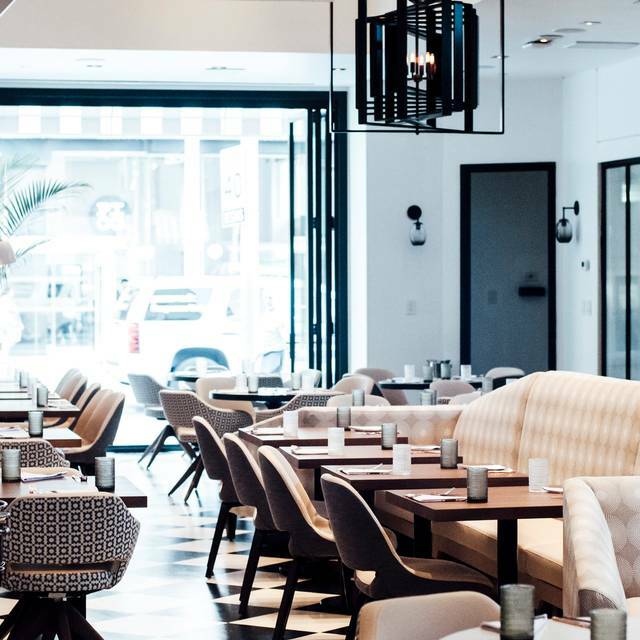 One of the best vegan restaurants in Toronto. Highly recommend. Our server Julia was very knowledgeable with the menu and our food restrictions. She was also able to recommend us a wine that was delicious and paired well with our food. The food was presented well and flavours were compatible making it taste good. 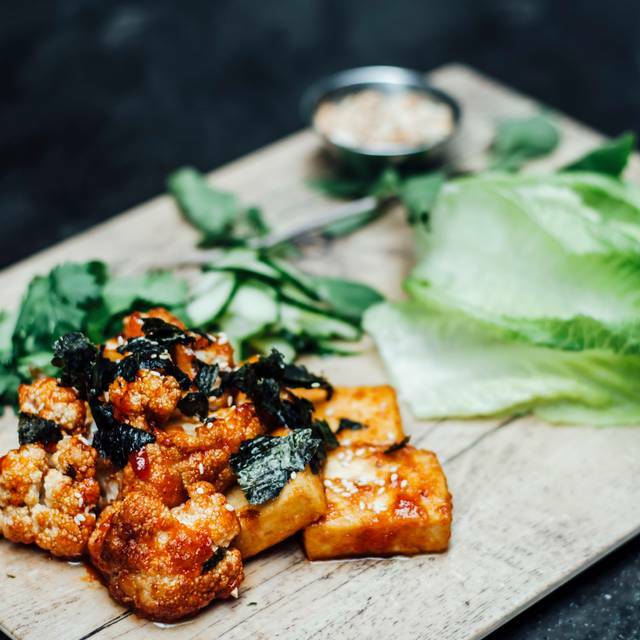 We had the cauliflower tots, watermelon poke, and I enjoyed the lettuce wraps. 4/5 for service because our table was not ready when we arrived despite having a reservation. Otherwise, everything was great, especially the food. I honestly am quite surprised with how good this all way. Was having dinner with 3 “flexitarian”s so did not have the highest of hopes, but left quite happy. Dishes were yummy and inventive; not too interested in the vegan “cheeses” but if that’s what your into, you might dig it! Portions were a bit on the precious side, especially when taking pricing into the equation, but friendly service and beautiful room made up for it. 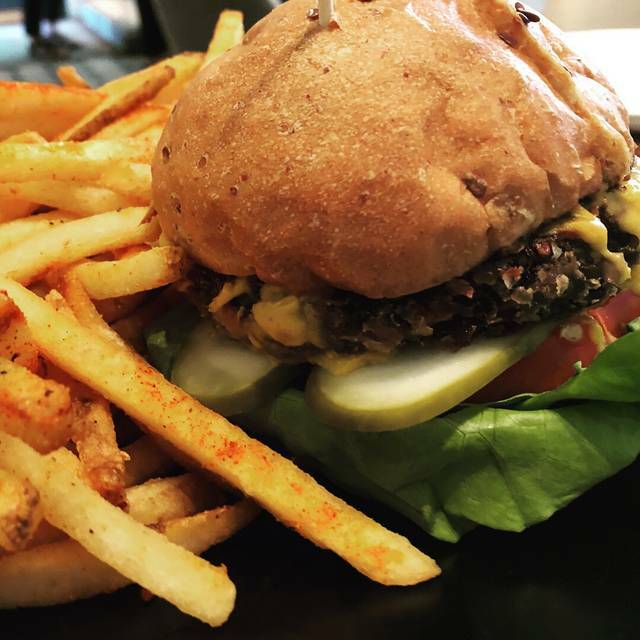 A definite recco for plant-based diners. Food was good, service was very slow to start. Waited 20 min to get our drinks !!! Request a table not under a speaker as it can be very loud. Devon was our server and he was amazing!!! He recommended and brought us the BEST dishes on the menu. Thank you Devon! Our server (Devin) was amazing. Very patient and knowledgeable of the menu and helped in navigating some food intolerances. Beautiful decor and busy atmosphere, but the food is often a miss. 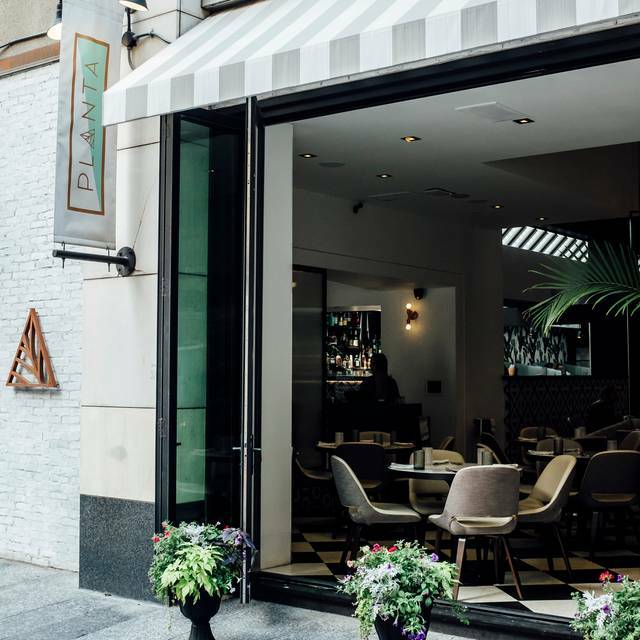 Planta was one of my favourite restaurants for several years, but has been quite disappointing recently. Their portions are getting smaller and smaller, to the point where dishes are ridiculously overpriced. Eg. Pizzas are smaller and with less toppings. Brunch today was a big disappointment. An old favourite (pancakes) removed from the menu. Cinnamon bun tasted like dry stale old bread drizzled in maple syrup. Avocado toast now one instead of two pieces, with the toast so hard it cut up my mouth. 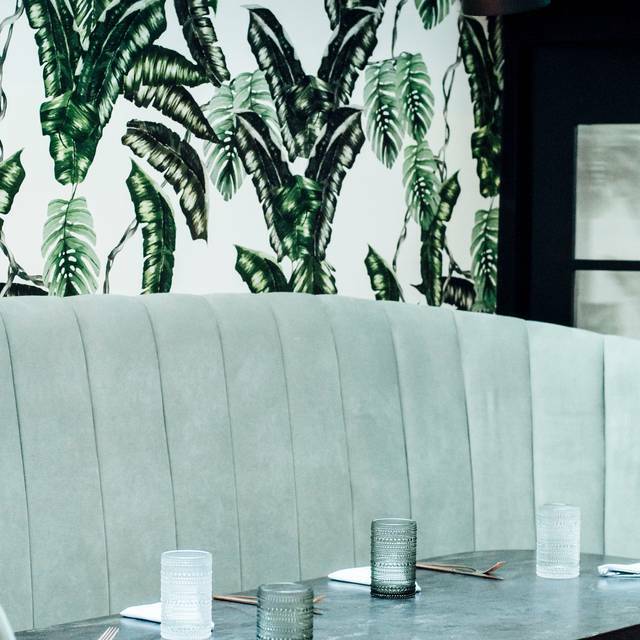 With so many great new vegan (and vegan friendly) restaurants in the city, Planta should not be at the top of your list. 30 minute wait past our reservation to get a table. Amazing food with great atmosphere. I have eaten at Planta many times and as a meat eater ive always been blown away by the food which has always been outstanding with a whack of flavour. Had the mushroom pasta which was disappointingly bland. Only bad dish I’ve had there. Chocolate terrarium is still the best dessert in the city. Outstanding food and service. 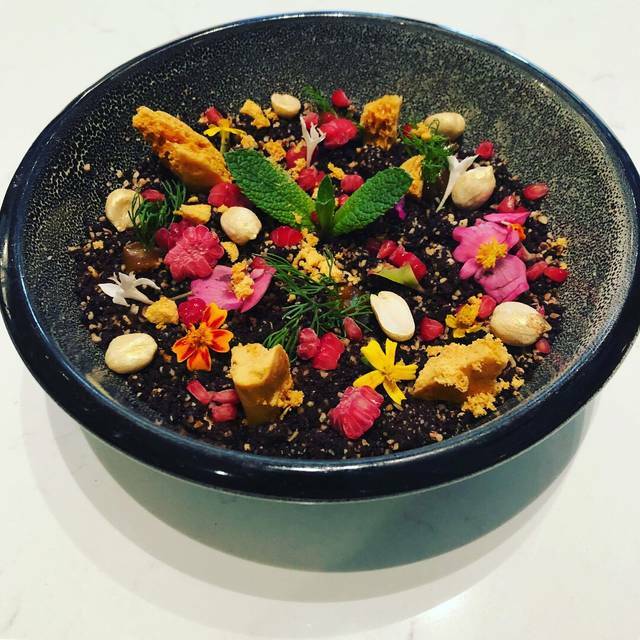 The cuisine is extremely innovative and shows what is possible in creating delicious, sophisticated vegetarian and vegan dishes. Congratulations to the entire team, in the kitchen and on the floor. The service was brisk, attentive and up to the quality of the food. And the wine list is concise but offers excellent choice. While I am not a great fan of 'natural' wines, their selections in this vein were sound. The server wasn’t attentive—didn’t ask how things were going or refill our drinks. The table and seat area was a little dirty. And, it was a bit noisy. Yum, yum, yum. Great food, beautiful space. You should go. Great food and friendly service. Highly recommend the burger and brownie!